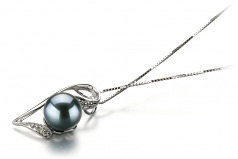 Simply wonderful and the ultimate of adoration goes to the high quality Black pearl. At 7-8mm, it is the right size to sit in the exclusive heart pendant that will lie just below your neckline on this 17 inbox chain. 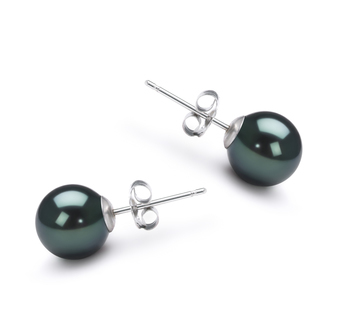 The pure quality in AAAA shape makes the perfect shape setting for the AAAA mirror like luster to sparkle and gleam. 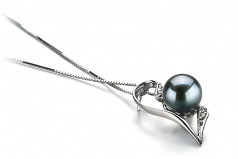 The beautiful elongated heart features the Black Pearl at the center of the souls on a side position. 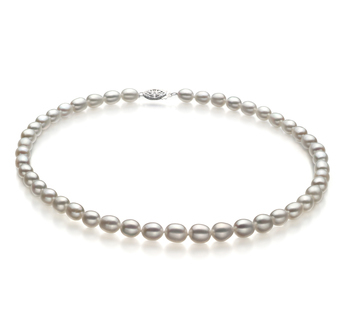 The center of the souls features 4 diamond accents (.03ct). 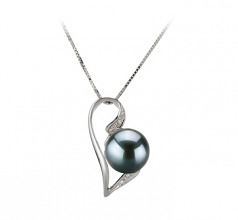 The 14k White gold, diamonds and the pearl all work together with the glistening shine and luster building perkier.